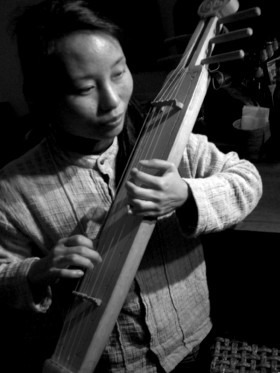 A slim lady wearing oak-coloured clothes draws a tiny bamboo instrument to her mouth, holding it with one hand and gently vibrating it with the other. Haunting sounds fill the air like spirits drawn by the wind. Then, out of a sudden silence, the story begins. the way behind the needle goes. Nagane Aki, who lives in Kyoto, regularly performs Ainu music and storytelling. She is deeply involved with the Ainu community, a key Japanese supporter who helps out whenever Ainu musicians, artists, or lecturers visit the Kansai area. Aki, when was your first encounter with Ainu? I was born in Chitose, Hokkaido. When I was in grade five of elementary school, I found a book of Ainu folk tales at the school library. I felt so comfortable with them because they were local stories about things I could recognize. In contrast, the old Japanese tale “Urashima Taro” involves a sea turtle in the southern seas, but no turtles are found in Hokkaido. So for me, Ainu stories seemed more natural than Japanese folk tales. Also in elementary school, I went on a school trip to a bear farm and the bus guide was singing the famous Ainu folk song “Pirika, Pirika.” Even today I can remember the words to this song. But it wasn’t until 1993, the International Year for Indigenous People, when I went to a lecture about Ainu language, that I decided to study the language and learn more about Ainu culture. Were there any Ainu people in your school or neighbourhood? During my junior high school years, my family moved to another part of Chitose and there were Ainu people in my new neighbourhood and at school. In classrooms, however, there were no discussions about Ainu — they were accepted, there was no distinction, and no bullying, and so the subject was avoided. Everyone pretended that everybody was the same and equal. Ainu people in Chitose are really a minority. 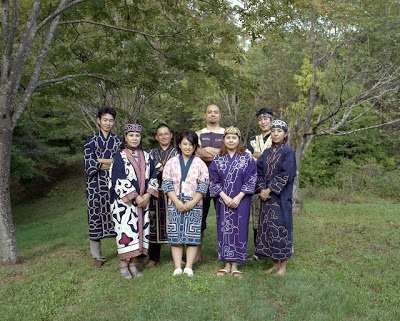 In a population of 80,000 there are only around 100 Ainu families. In what way is Ainu language special and different from Japanese? What I would like to do is to help Ainu find the best way for themselves, and to introduce other people to Ainu culture. What is the government’s position on Ainu? The government gives money to Ainu to preserve their culture, for study, but this only assists some people, not all Ainu. For example, my friend is an Ainu carver, but the government does not help him. He is a progressive artist, an Ainu using traditional techniques who adds his own identity. Anybody can copy traditional things, but it takes a talented person to interpret traditional art, I think. Now you live in Kyoto. 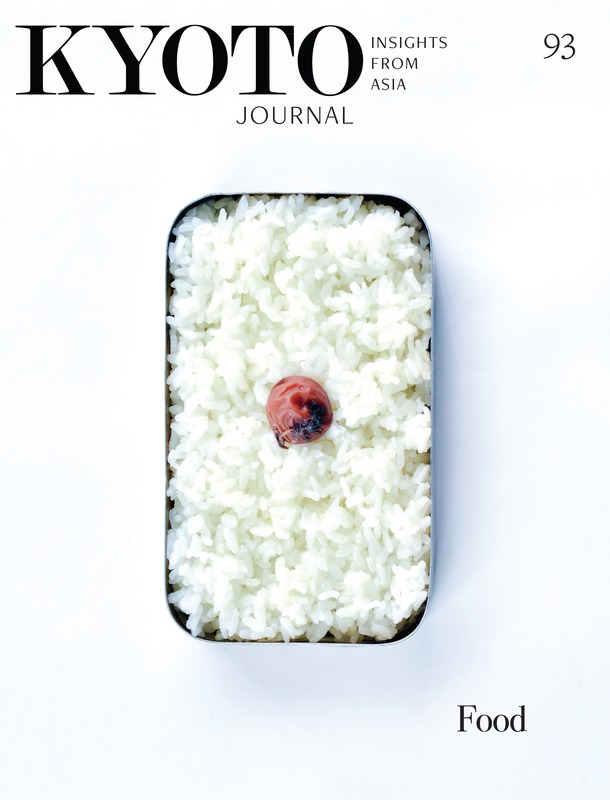 Why did you leave Hokkaido? My great-grandparents long ago moved from Kyoto to Hokkaido. So Kyoto has al-ways been in my mind. And as a librarian, I became interested in repairing old Japanese books, wahon, watôjihon. These are woodblock-printed, hand-bound books. I wanted to study how to mend them, and this can only be done either in Kyoto or Tokyo. I decided to come to Kyoto because it is the old capital, and thus has a richer history compared to Tokyo. Ainu have become such a part of my life that I don’t consciously think about Ainu now. So I want to start something new, like the study of medieval books and Noh. My journey continues, and it seems it is deeply rooted in traditional things. I would like to help Ainu find themselves, their own roots, but also help the Japanese to find their traditions, and of course to find myself.